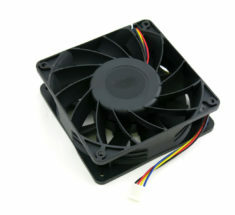 High Performance Innosilicon A8+ Plus Fan Replacement. 4-Pin 10 Inch Cable 120mm x 38mm 5500 RPM 250 CFM 12V Expected life span of 20,000 hours. 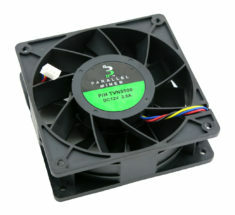 High Performance Innosilicon A4+ Plus Fan Replacement. 4-Pin 10 Inch Cable 120mm x 38mm 5500 RPM 250 CFM 12V Expected life span of 20,000 hours. High Performance Bitmain Antminer S7 Fan Replacement. 4-Pin 10 Inch Cable 120mm x 38mm 5500 RPM 250 CFM 12V Expected life span of 20,000 hours. High Performance Bitmain Antminer L3 L3+ L3++ Fan Replacement. 4-Pin 10 Inch Cable 120mm x 38mm 5500 RPM 250 CFM 12V Expected life span of 20,000 hours.